Two years ago, Tabitha and I trekked from Jiri to Everest Base Camp on a month-long journey through the Himalayan Range. We took the long way, hiking through dozens of Sherpa and other ethnic villages along the way, experiencing and seeing the living conditions common in rural Nepal away from the rush to Everest. This part of Nepal is missed by many trekkers who fly to Lukla to shorten the trek to EBC, thus they miss the things we experienced, like lots of children. 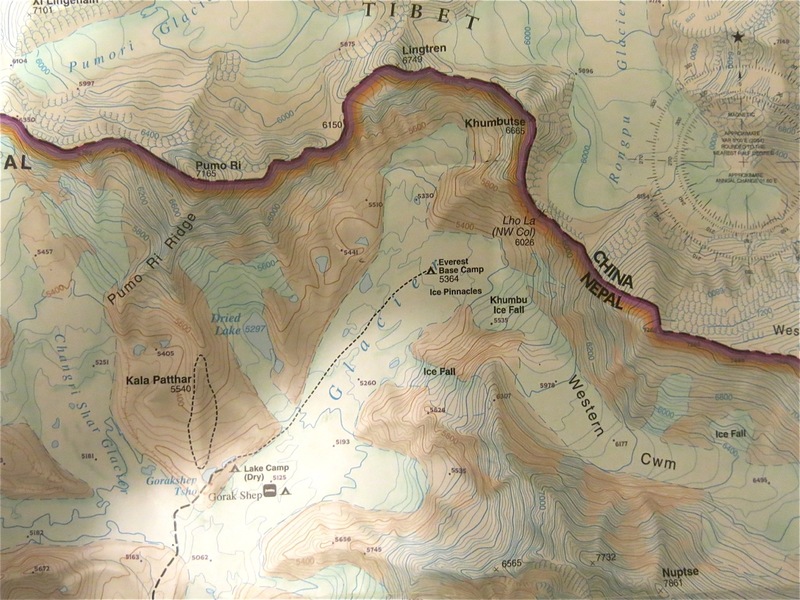 We took the same trail that Tenzing Norgay and Sir Edmund Hillary started from over 60 years ago to the top of the world. Though the area is stark in mountain beauty, we could not help wondering what an earthquake would do to Katmandu and the Everest region. Tabitha hiking through lowland village. We have been desperate for information. 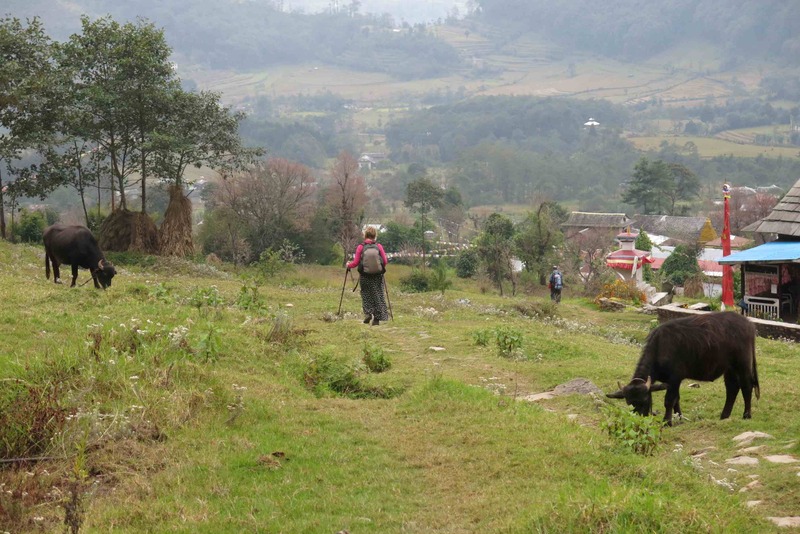 Our guide and porter survived the earthquake, but not their homes and are living in tents. Everest Base Camp which we visited was demolished with great loss of life (see photo’s below). Many of the tea houses we spent the night in were damaged if not destroyed, built by Sherpas who had spent their lives around and on Mount Everest. A monastery we visited and saw a Yeti hand has been severely damaged. I would imagine many of the steep trails we trekked were damaged by landslides based on what information we have received over the past weeks. 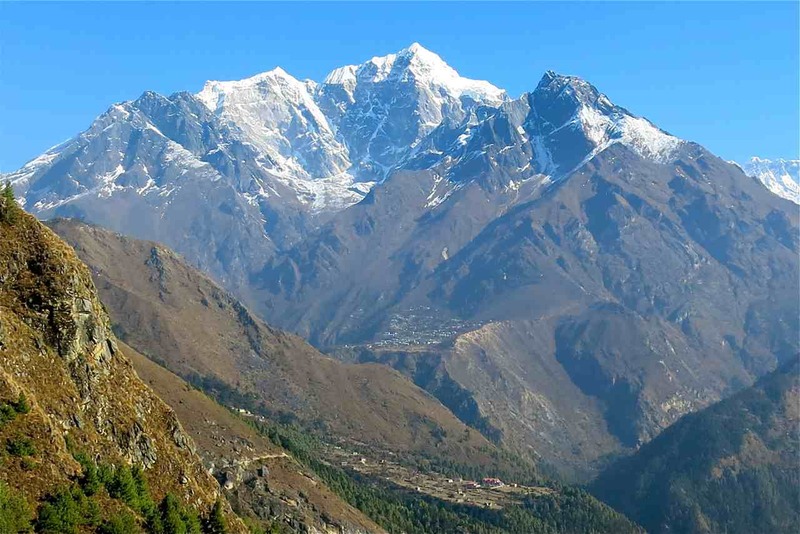 Periche, Khumbu Vallley – Sagarmatha National Park. We spent the night in this village, which became the staging area for care for climbers and Sherpas from the EBC avalanche. Nearly all buildings have been damaged. It’s not hard to fathom the destruction. Fortunately in Valdez we have modern building codes and such that will go a long way in preventing the death toll we see in Nepal. I can’t imagine how many would have died if that earthquake had hit at night. While our homes and businesses may survive an earthquake of such magnitude, the potential for an ensuing tsunami is likely. It is the tsunami that is our greatest threat, especially if the next great Alaska quake hits at high tide. 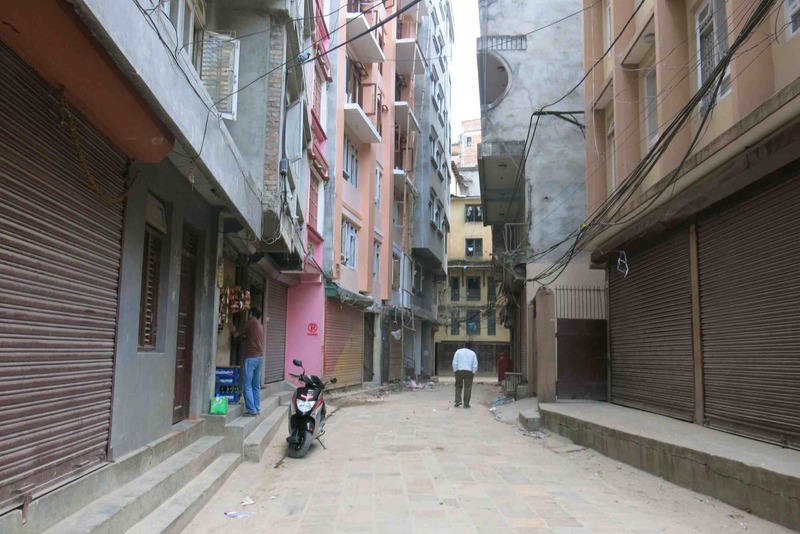 Thamel District – Katmandu – Merchants stir in the early morning outside our hotel. This area was severely damaged. Valdez seems as remote as some of the villages we passed through, relative to the United States. All the more reason for everyone in Valdez to have a plan in the case of any earthquake and tsunami. Tabitha and I basically keep a backpack ready with tent, sleeping bags, food, cooking wares, and fuel in a closet near the front door. Preparing for the such an event in Valdez is important as it could be days before help arrives dependent on weather and how damaged the highway would be. Utilities could be disrupted with damaged facilities. Valdez would be damaged, but nothing like Nepal and it’s people. 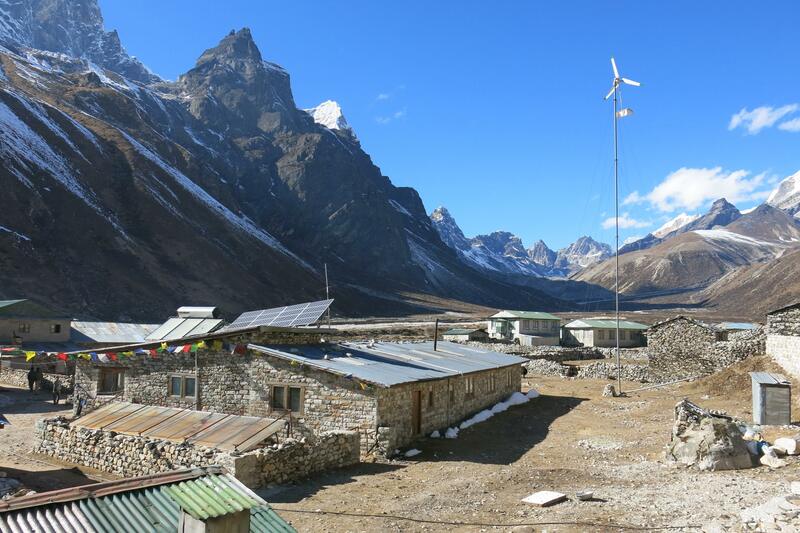 The village of Pheriche lays at the base of Nangkar Tshang. Tabitha and I feel great sadness for Sherpas and the villages we passed through on our month long journey. All the beauty, the trails, the mountains, and rivers all collide producing some amazing terrain unmatched anywhere in the world. Much like the residents of Nepal’s vast valleys, Valdezeans only have to look up and around to understand what draws us to live in such a mountainous place. Please keep the people of Nepal in your thoughts. If you can find a charity that is helping directly even better. It was a country on the edge when we visited, new to democracy and now they have even a greater battle ahead. They do not have FEMA to come rescue them. These are strong people and they will carry that work out by hand, pick and shovel, rebuilding a mountain kingdom, now lost in the rubble of their own Great Earthquake. 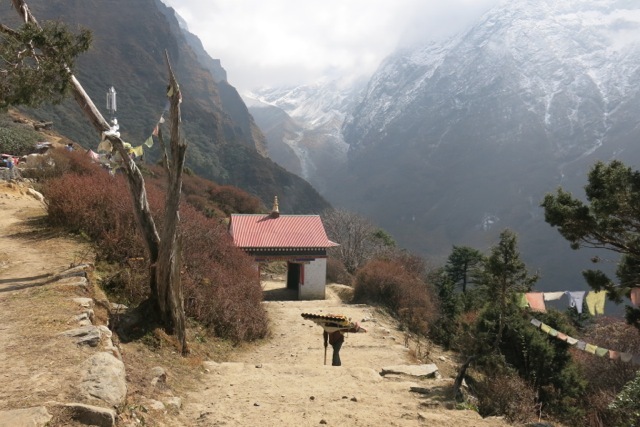 A young boy enters the village of Tengboche carrying building materials. 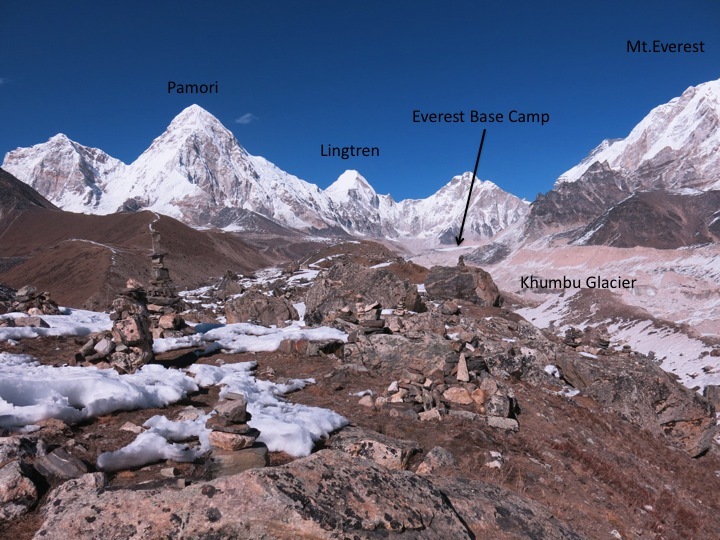 Everest Base Camp Incident Site. 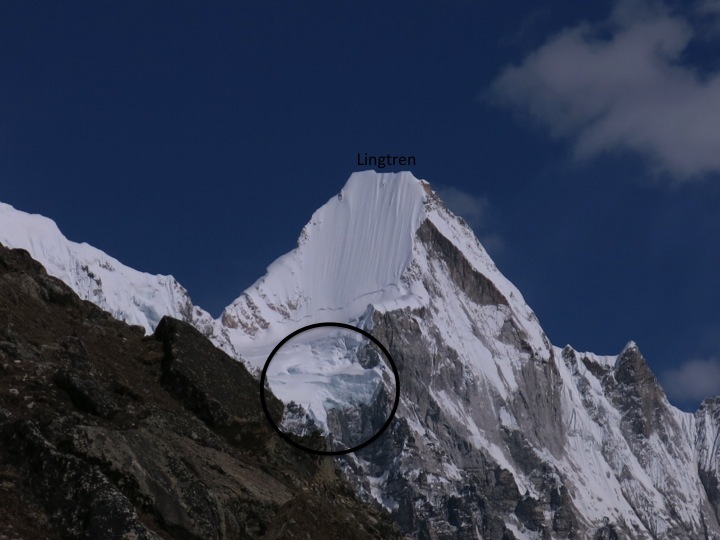 The icefall and subsequent avalanche came from the low pass between Lingtren and Pamori. All above pics by Matt Kinney(Nov 2013).